Boords is a web app, which means that it runs online in your browser. At the moment, it is not set up for use on mobile phones. The screen size is just too small for storyboarding! It can, however, be used very effectively on tablets. Log into the Boords app in your browser. 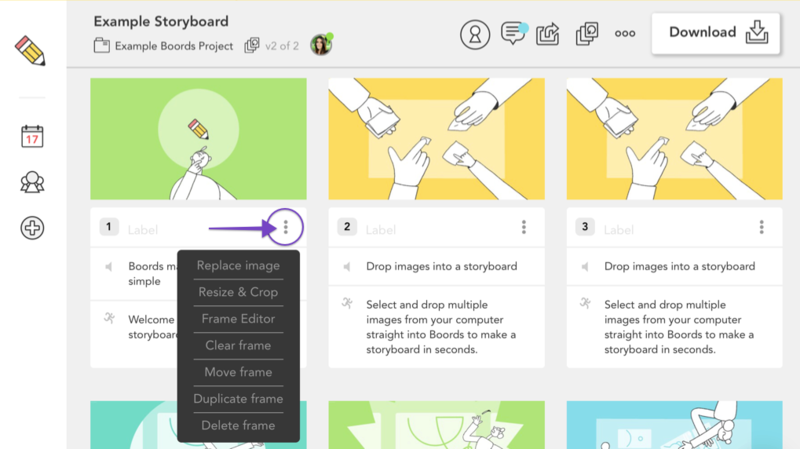 On the project dashboard, choose the storyboard you want to work on or create a new one. To start working on your frames, click the three dots icon, next to the label field, to access a drop-down list of options. To upload your own images into the frames, click "Replace image". 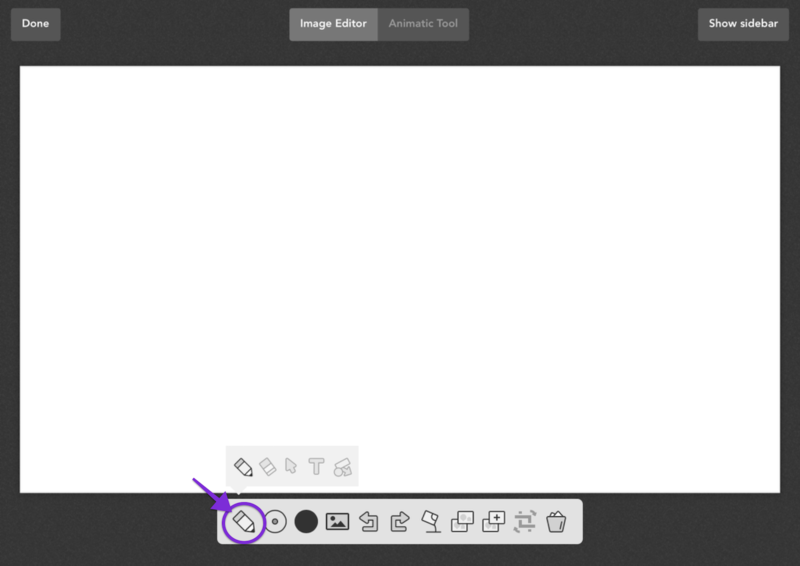 Or, choose the "Frame Editor" to draw directly into frames, add shapes or add text. When you've finished your work, share it with us in our gallery of storyboard examples. We'd love to see your storyboard creations!